For the twelfth time, we invite you to join us in our adventures in Asia through the lense of cinema. This year we chose to highlight innovative projects by Asian animated films directors, that do not follow the anime aesthetic. The programme also showcases latest genre cinema and big buget productions that are already changing the face of the mainstream culture. Once again, Five Flavours invites you to discover Asian reality from the inside. The Festival is a perfect opportunity to immerse yourself in gripping pop culture, take part in heated debates about art, politics, the crucial social changes and challenges of the modern world, as well as see the works of renown masters of cinema. The festival selection is wide, consist of genre cinema, big budget productions as well as experimental projects and auteur cinema. We invite everyone to discover and experience this bustling universe. Like in the previous years, the main axis of the festival is the competition section presenting new auteur cinema from countries such as Taiwan, Hong Kong, Malaysia, Japan, China, and Thailand. The Q&A sessions with festival guest after the screenings are a great opportunity to discuss art, cinephile fascinations, and contemporary culture. New Asian Cinema is a meeting space for the avant-garde aesthetics, controversial statements, formal experiments, and fresh voices commenting on the modern Asian reality. The main themes that return in selected films reflect the most important social phenomena in the region: labor migration, generation conflict, reconstruction of historical events on the basis of family memories, creating narrative identity and thoughts about uncertain future. The creators competing in the New Asian Cinema section approach the genre conventions - such as crime, melodrama, action cinema - in an extremely original way, localizing the narrative and completing it with a very personal comments on contemporary reality. Films from this section will compete for the festival Grand Prix (honorary prize), they will be assessed by Peoeple's Jury - 11 cinema lovers selected on the basis of a review competition. Long-awaited section dedicated to Asian animation. We are leaving the realm of quite conservative and market calculated Japanese anime, heading towards unknown territories - full-feature animated films produced in other Asian countries as well as Japanese experimental animations. 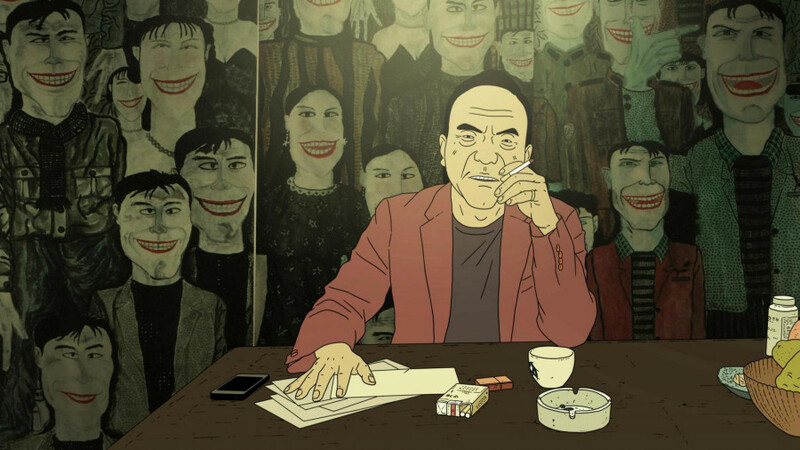 Chinese cinemas have rich animation tradition dating back to 1940s, then experiencing golden age in 1960s, however in Southeast Asian cinema full-feature animated films are still rare. Animation as a film art form is characterised by lack of visual restraints and different production scheme than live action films. It allows the creators to use their potential to the fullest and let the imagination roam freely. Therefore the works of Asian animators aim to go beyond the limitations of contemporary film language and shape the new ways of visual expression. In this year's Asian animation section there are several leading themes: Korean animated films based on genre conventions, Chinese independent animations, Japanese experimental projects, animated images of war and generational experience against the backdrop of critical historical events. All films in the section are independent productions created by real visionaries and filmophiles. The form of animation, more abstract than live action film, allows the artists to penetrate deeply under the surface of the mechanisms guiding societies, looking into phenomena that govern them. Since 2017, Five Flavours teams up with Asian Film Awards Academy, the institution supporting the promotion of high quality commercial cinema from Asia. The result of this collaboration is a section made up of stunning genre cinema, and the newest hits by renown filmmakers, nominated and awarded at this years Asian Film Awards gala. Presented in the section is one of last year’s most important Chinese productions, "Youth" (China, 2017) by Feng Xiaogang, who is often called the Chinese Spielberg. This widely commented work of the popular director is an offbeat look at the era of Cultural Revolution – a story of a group of young artists preparing shows for the army. The nostalgia with which their first loves and adolescent dilemmas are portrayed is paired up with the tragedy of the historical changes taking place in the background. The songs from the times of Mao are still very emotive for the older generations of Chinese viewers, but the director is looking for new means to talk about those extremely difficult times. The vast success of the film testifies to the fact that it is a topic the audience is ready to debate. "Brotherhood of Blades II: The Infernal Battlefield" (Chiny 2017) by Lu Yang is also set during the turbulent times in Chinese history - the late Ming dynasty. This costume action film is focusing on the political games backstage, but it does not lack spectacular action scenes, because "Brotherhood of Blades" revolves around the story of XVIIth century Chinese policemen and detectives. 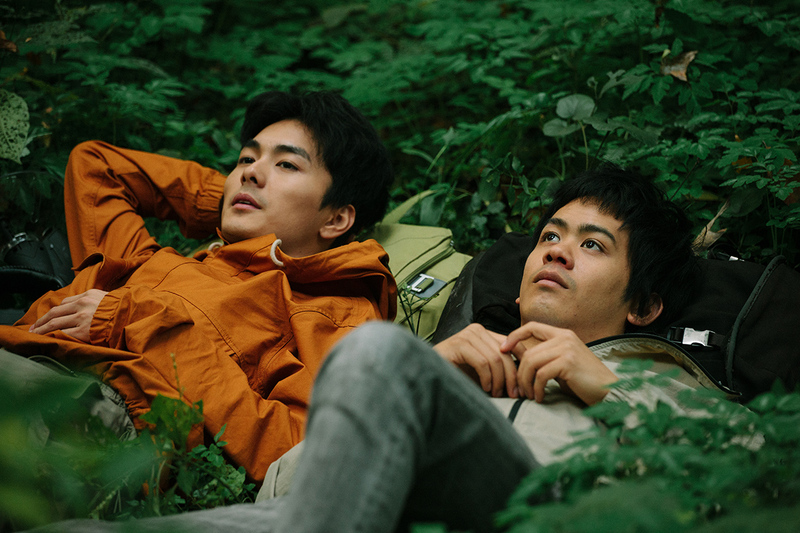 Another title screened in Asian Cinerama section is a low-key drama about unrequited love and romantic illusions, "Birds Without Names" (Japan 2017) by Kazuya Shiraishi is an in-depth study on the nature of memory and relationships between a man and a woman. Five Flavours never fails to showcase the films which are particularly important for Asian cinema, and the works of filmmakers our audiences are familiar with. One of the masters returning to our program is Pen-ek Ratanaruang, whose retrospective was presented at the 3rd Five Flavours. The newest film of the Thai genre cinema specialist, "Samui Song" (Thailand, Germany, Norway 2017), is a stylish psychological thriller inspired by the works of Hitchcock and the 1960s melodramas. Dark sexuality, a mysterious sect, and a desperate decision of the heroine – Ratanaruang knows how to keep the audiences on their toes, surprising them with unexpected mood shifts. Other representatives of the Thai New Wave appear as co-authors of the project "Ten Years Thailand" (Thailand, Hong Kong, Japan 2018), presented at this year’s festival in Cannes. It is a continuation of the cycle opened by the famous Hong Kong "Ten Years," showcasing the potential social changes which can take place in the near future as a result of current political decisions. The Thai version of the film, made up of several novellas, was created by Chulayarnnon Siriphol, Apichatpong Weerasethakul, Wisit Sasanatieng, and Aditya Assarat, who took up this arthouse, science-fiction project to convey their visions of the upcoming decade. The allegorical, and the very literal images reflect not only on the situation in Thailand, but also on the wider, though not necessarily brighter, future of the world.